In honor of National Police Officer’s Week, The Bee will be profiling an officer and/or deputy each day this week from local law enforcement agencies. 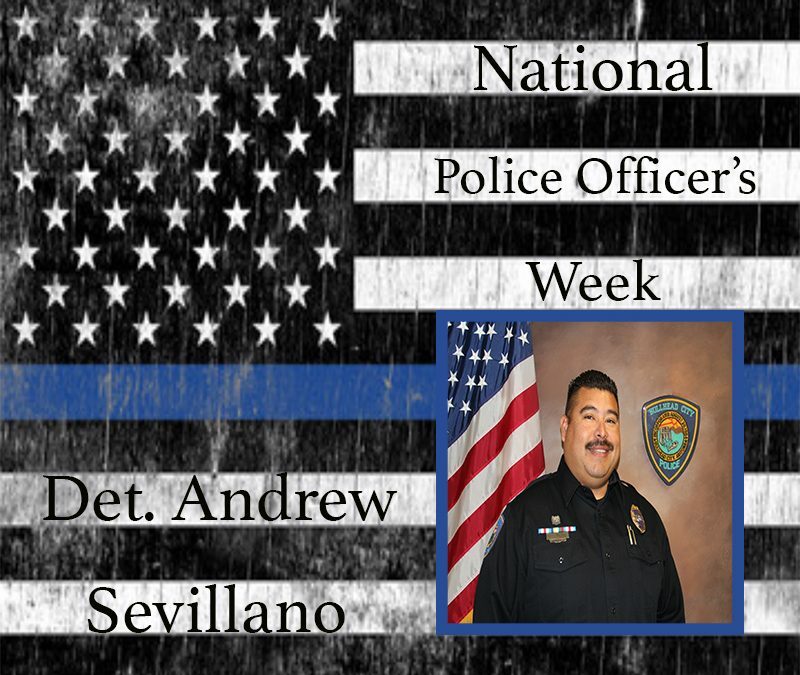 Our first profile is Detective Andrew Sevillano from the Bullhead City Police Department. Sevillano is also currently the department’s Police Officer of the Year. He received that recognition in November 2017 during a special awards dinner at the Elks Lodge. Sevillano has been with the Bullhead City Police Department since 2004. He worked a School Resource Officer at Fox Creek Junior High School for 10 years while acting as a positive role model for students. Detective Sevillano began his current assignment in the Bureau of Criminal Investigations in 2015. He has also served on the Department’s Crisis Negotiation Team since 2009. Detective Sevillano is the Police Officers Association (FOP/POA) President and the President of the Shop with a Cop Board, dedicating many hours to help underprivileged children in our community during the holiday season. Thank you Det. Sevillano for all you do! Check back each day as we feature those behind the badge. Congratulations Andrew on all of your recent accomplishments! Proud of you!! !